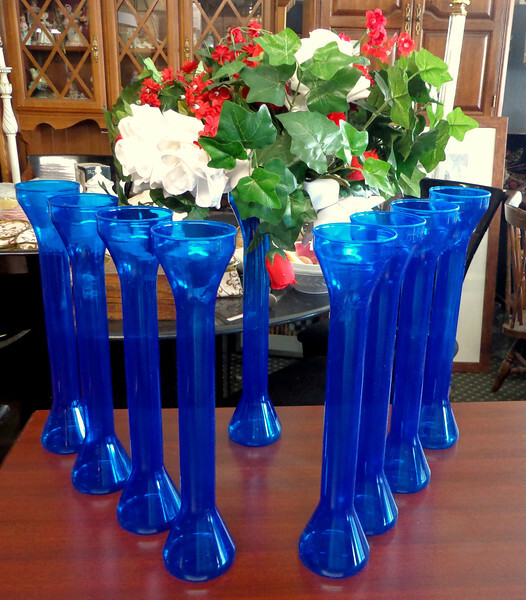 Large Selection of Decorative Blue Plastic Banquet Hall Flower Vases. 4 x 16. $2 each.